Breeding top Show quality Miniature Schnauzers that conform as close as possible to the breed standard is always top priority. I do not view Keystone as just a hobby kennel. I have spent thousands of hours reading up and studying Miniature Schnauzers and Schnauzer types from all over the world and continue to do so in order to contribute to the betterment of the breed. 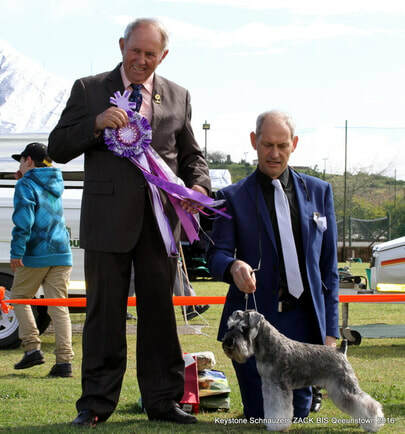 I have been very fortunate here in South Africa to have been encouraged by various individuals from all over the world in my endeavours to breed top quality Miniature Schnauzers. In this regard one person stands out - Reinette van Reenen. 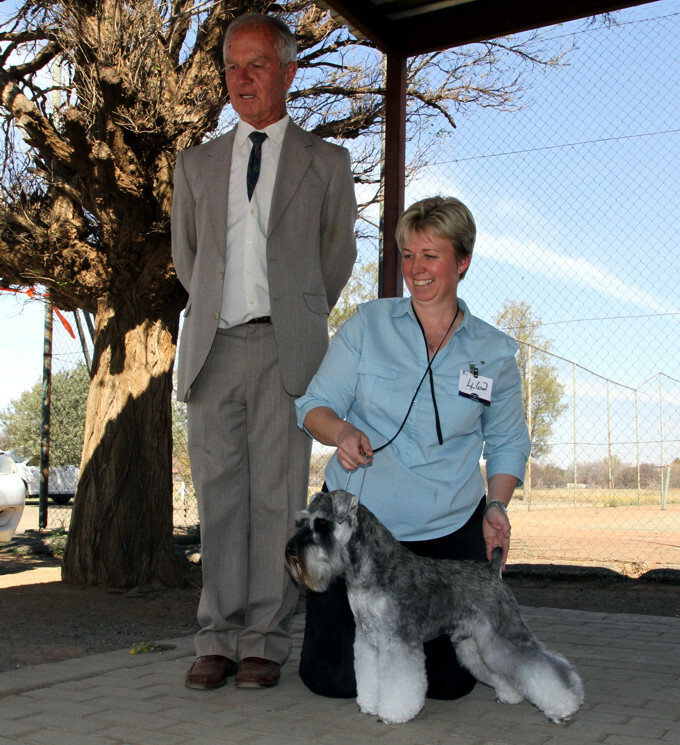 Without Reinette’s encouragement Keystone Schnauzers would not have achieved results so quickly and consistently. Keystone’s goal? My aim is to breed beautiful, happy, sound and healthy Miniature Schnauzers with outstanding personalities and temperaments for show and pet homes. Miniature Schnauzers are my passion… they truly are a spectacular breed!